Reviewing the past year at the College of Pharmacy (COP) has been an inspiring experience as I’ve been reminded of the many accomplishments and contributions made by faculty, staff, and students in 2018. Even as the number of pharmacy school applicants has trended downward nationally, the COP welcomed a full class of 60 new PharmD students in 2018. Last year also marked the first time in the college’s history that all third- and fourth-year PharmD students engaged in individualized, mentored research projects. The college is all-in with its commitment to provide a high-value, personalized educational experience. Faculty and students are abuzz with new scholarly activity. Based on a 2018 report measuring the research productivity and impact of all U of U academic departments, the COP is holding strong. Of the 65 total departments and academic units at the U, three COP departments are among the top ten. Scholarship and research remain among the most important ways we can have a lasting impact on our field and human health. 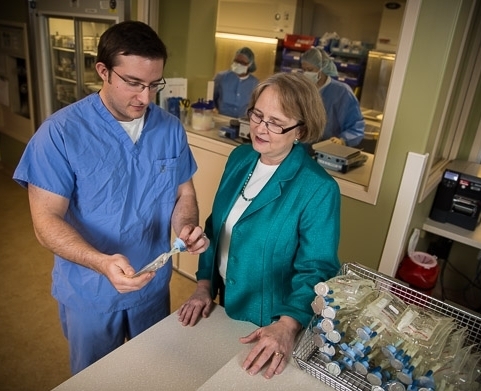 The Anticonvulsant Drug Discovery (ADD) program received $6.4 million from the NIH in 2018 to support discovery of novel epilepsy drugs and pain medications. Jaclyn Winter, PhD, received a ~$1 million grant from the Gordon and Betty Moore Foundation to study how microorganisms communicate through chemical signals. David Young, PharmD, received the 2018 Love to Breathe award for leadership and service to the cystic fibrosis community. Dr. Young is a pioneering researcher and educator of adult asthma and adult cystic fibrosis. Holly Gurgle, PharmD, BCACP, was named a 2018 Immunization Champion by the American Pharmacists Association. Dr. Gurgle was one of two individuals recognized nationally for extraordinary contributions toward improved vaccination rates within their communities. You Han Bae, PhD, received the Distinguished Professor award. This rare honor is granted by the University of Utah to faculty who meet the highest standards of scholarship, international stature, and dedication to teaching and service. Only about 100 professors in the university’s history have received this honor. Distinguished Professor Jindrich Kopecek, PhD, DSc, was elected fellow of the National Academy of Inventors (NAI). Kopecek is a recognized pioneer in drug delivery. NAI Fellow status is the highest professional distinction awarded to academic inventors. Continued efforts to serve the community were recognized in 2018, when the students of the COP were awarded the Maliheh Legacy of Caring and Community Service Award. The award recognizes major contributions to the Maliheh Free Clinic through the volunteer efforts of student and faculty and more than $200,000 raised for Maliheh during their student gala. As we celebrate 2018, let’s use this success to propel us forward. Building on past success and renewing our commitment to continued excellence, we can look forward to another great year in 2019! Guest blogger Randall Peterson is the dean of the College of Pharmacy and L. S. Skaggs Presidential Endowed Professor. 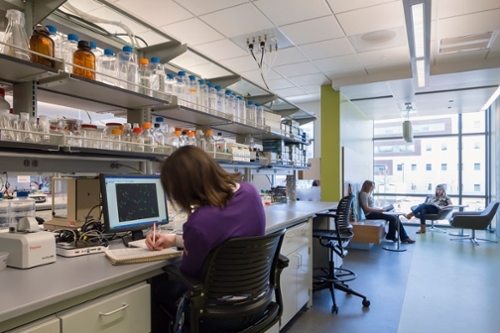 A chemical biologist, Peterson’s research utilizes high-throughput screening technologies to discover new drug candidates for cardiovascular and nervous system disorders. 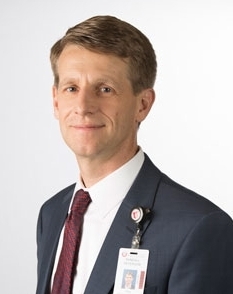 Prior to joining University of Utah Health, Peterson was a faculty member and endowed chair at Harvard Medical School, scientific director of the MGH Cardiovascular Research Center, and senior associate member of the Broad Institute.